Writing a will is just one part of an effective estate plan. Writing a will is just one part of an effective estate plan, an often overlooked, but important part of a complete long-term financial plan. An estate plan can include a will, decisions on power of attorney, a health care directive, and legacy choices. 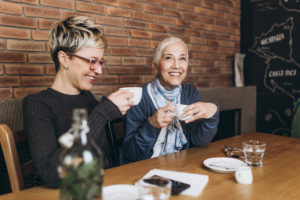 The process of estate planning not only protects you but provides your family with guidance at a time when important decision-making can be very difficult. What is an estate plan and why do you want one? Your estate is all of your possessions and financial assets – including savings and debts – that you leave behind when you die. Another way to look at it is that it speaks for you when you cannot. If you don’t have an estate plan in place when you die, your intentions and wishes for your family, the care of children and your assets may not be fulfilled. So, an estate plan makes things clear, organized and simpler for your loved ones. A will is a legal document that directs how your assets are to be distributed once you’ve passed away. A will is a part of your estate plan. Consider updating your will and estate plan whenever something major happens in your life – if you move to a new province, territory or country; if you get married, have children, get divorced, receive an inheritance, or declare bankruptcy. It is important to note that if you have a will prior to getting married, that will becomes invalid upon marriage. An executor is a person you name in your will to carry out the transfer and distribution of your assets. They can also settle bills and taxes, locate beneficiaries, identify and manage your assets, and arrange your funeral. Power of attorney is granted to a person named in your estate plan to act on your behalf regarding financial matters in the event that you become mentally or physically incapable. This may include paying bills, monitoring your investment portfolio, collecting income and pension, and more. You can also assign power of attorney to make healthcare-related decisions. As a Manitoba citizen, you have the right to accept or refuse medical treatment at any time. The Health Care Directives Act allows you to express your wishes about the amount and type of health care and treatment you want to receive should you become unable to speak or otherwise communicate this yourself. It also allows you to give another person the power to make medical decisions for you should you ever be unable to make them yourself. A trust is a fiduciary arrangement that allows a third party, or trustee, to hold assets on behalf of a beneficiary or beneficiaries. A trust can be established during your lifetime or take effect once you’ve passed away (as instructed in your estate plan and will). Your financial adviser can play an important role in helping you make informed estate planning decisions. Before you begin the planning process with your adviser, they should be informed of any existing plans you have in place. Knowing your full financial picture will allow them to make recommendations including when to bring in additional expertise (such as legal counsel). For more information on wills, power of attorney, appointing an executor, trusts, and other questions about estate planning, visit the Public Trustee and Guardian of Manitoba website.